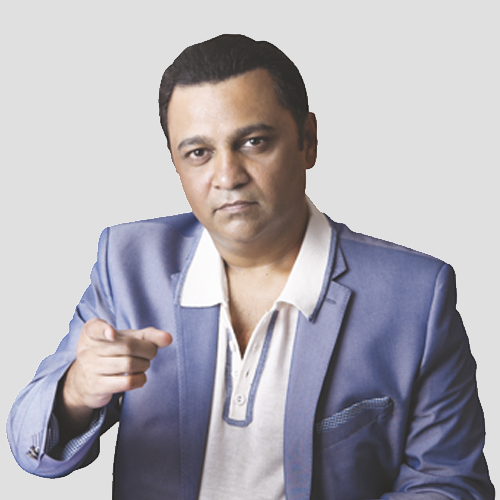 Star Bollywood Fashion Designer and Fashion Stylist Ashley Rebello is the man behind the new avatar of Salman Khan in ‘Prem Ratan Dhan Payo’, ‘Bajrangi Bhaijaan’ ,’Kick’ ‘Dabangg 2’, ‘Ek Tha Tiger’, ‘Bodyguard’, ‘Ready’, ‘Dabangg’ & ‘Big Boss ’. He has also designed Costumes for Bollywood hit films like Ek main Aur Ek Tu, Double Dhamal, Wanted, Welcome, London Dreams, Jaane Tu Ya Jaane Na, Page 3, Jo Jeeta Vahi Sikander, Haseena Maan Jayegi, Sarfarosh, Hera Pheri to name a few. The famous International celebrity, Baywatch Star Pamela Anderson sizzled in the beautifully designed traditional attire by Ashley Rebello for her special entry in ‘Big Boss – Season 4’. From ramp shows to divas of the Hindi film Industry from stunning brides to hot models in photo shoot. Ashley has dressed them all. Clothes according to Ashleyare not just something you wear to cover your skin; clothes have to be your skin. You have to be one with that outfit….almost as if you were born for it. He has designed for the gorgeous Aishwarya Rai, stunning Katrina Kaif, the lovely Asin and the elegant Tabu….the list of lovely ladies is endless. He has designed for Shahrukh Khan, Salman Khan, Aamir Khan, Shahid Kapur, Imran Khan. ‘Clothes make the man’ said Mark Twain. And Ashley Rebello believes he was ever so right. Ashley shot into prominence for giving a new look to Salmaan Khan and Sonakshi Sinha in Blockbuster ‘Dabangg’. He designed for all the hot item numbers starting from Malaika Arora for ‘Munni Badnaam Hui’, Isha Kopikar for ‘Khallas’ to Yana Gupta for ‘Babuji’. Ashley also has to his credit the exclusive gowns that he designs for all important international pageants like Miss Universe, Miss World and Miss India. Ashley Rebello is the most sought after designer who has designed the wardrobe for the hottest women of Bollywood Mallika Sherawat for her appearance at the Cannes Film Festival, where she is representing the Indian film industry. AshleyRebello is the rage of Bollywood designing for all happening flicks, Shabad, Dil Mange More, Karam, Kya Kool Hai Hum, Meenakshi, Jo Jeeta Vahi Sikander, Chandani Bar, Biwi No. 1, Haseena Maan Jayegi,Sarfarosh, Hera Pheri and many more. Ashley is one of the rare international fame designers, who is Magician of sorts and can give you a new persona in matter of few seconds. He is the first Indian Designer to design clothes for Oscar winning directors. He is designing outfits for Nicole Kidman (Best known as Mrs. Tom Cruise), Hunter Tylor, an international television actress and many more Hollywood stars.